There are certain impositions that carrying a handgun makes, one of which can be impeding easy access to your wallet. Your mileage may vary, but a good number of people find that putting a gun on the hip (or somewhere thereabouts) makes getting at your billfold a more difficult proposition than it would normally be. Most of the concealed carry positions can impact wallet access, so it's something many concealed carriers have and/or will have to encounter at some point. Wallet access issues are part of the price most people pay in order to arm themselves for everyday carry. There are a few different things that impact getting at your billfold. 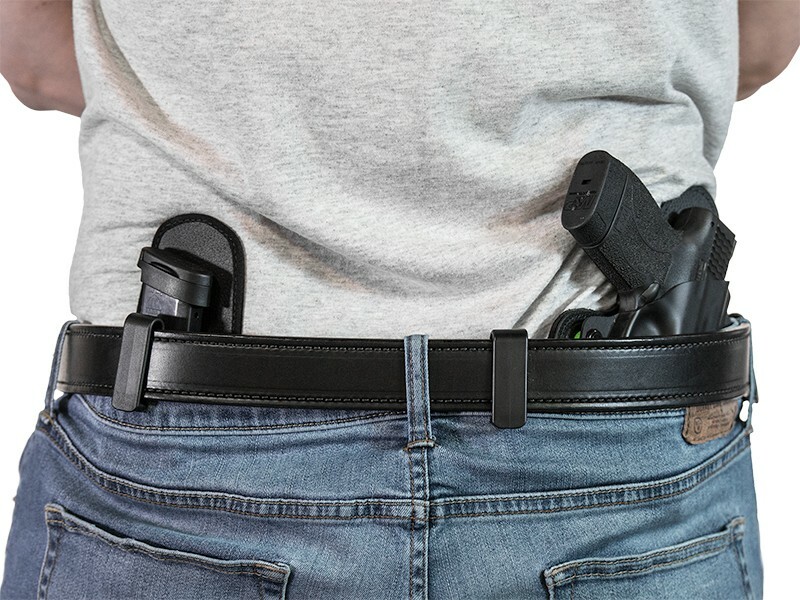 For IWB carry, putting a holster and pistol in your waistline creates a bulge beyond the contours of your body, which is why carrying with an IWB holster usually necessitates going up a pant size to accommodate the gun and the holster. However, once you have the holster set inside, the clips set and your gun belt fastened, this draws the waistband a bit tighter than it normally sits. The effect on your wallet is not dissimilar to what happens with a pancake holster. As the belt is fastened, it's drawn tight. While this is desired from a retention standpoint, it's not great for reholstering. Many pancake holsters are known for not being the easiest to reholster a pistol in once drawn for this reason. Your rear pocket is virtually the same thing; it's a cloth pouch. 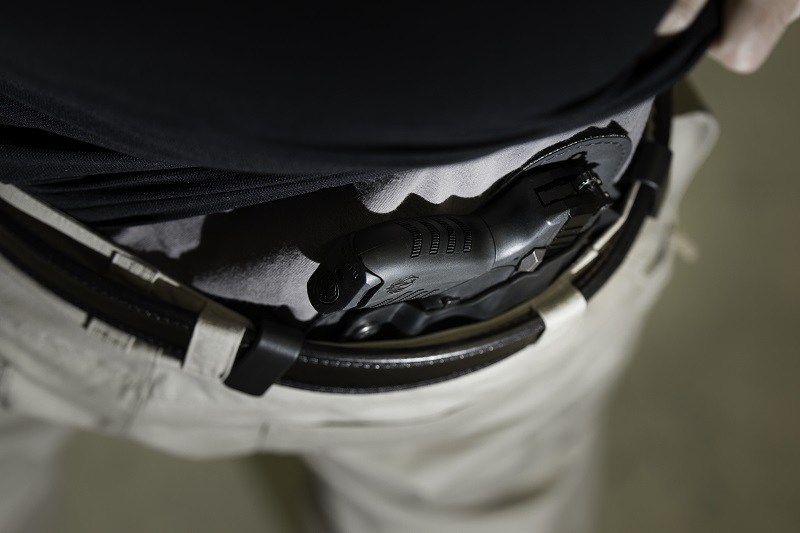 Additionally, carrying rearward from the 3 o'clock position can put your gun and your holster literally in the way of your wallet, and especially if carrying OWB. If carrying at the small of the back...it's even worse. There are a few easy fixes that can make it a bit easier to get at your wallet while carrying, which a good number of experienced concealed carriers resort to. Put your wallet in the opposite side pocket as your gun.. The further the wallet is from your carry gun, the less tension is going to be on the waistband. Therefore, the easier it will be to access. So, if you carry on the right side, the wallet goes in the left side pocket. You'll need to retrain your hand to the other side. However, this also confers a tactical advantage: if you get a mugger or robber asking you to surrender your wallet, they won't know you're reaching for your sidearm. Stash your wallet in your coat.This doesn't work all the time; after all, who wears a jacket all year? That said, access is easier and you also get easier concealment, which is coincidentally why a number of people have a dedicated winter carry guns that waits for temperatures to plunge before being fixed to the hip of the wearer. The other benefit is the same tactical advantage of carrying your wallet in the opposite side pocket. Wallet in the front pocket, if it will fit. If you can fit it, the front pocket is another good solution that some people resort to. Granted, getting at it may not be the easiest depending on how tight your pants fit and how big your pockets are. You also get the same element of surprise. Some other wallet hacks for concealed carry that can make accessing your pocket book a bit easier are in order, since there are more viable solutions than merely stashing your wallet elsewhere. Try a different wallet. The dual-fold design is most common, but can be harder to get at once put in a back pocket and all your CCW gear is attached. Try a wallet that's taller than your pocket, such as the "trucker wallet" design. Wearing a wallet chain is completely up to you, but if your wallet protrudes above the lip of the pocket, that makes it easier to get in and out. Alternately, try downsizing your billfold. Most people only need two or three cards (maybe a few more) on a regular basis, so a larger wallet isn't strictly necessary. Some people keep cash in a money clip in the front pocket instead of a wallet, so that's something to think about. Another idea? Put your ID and debit card in a card sleeve and stash it in a shirt pocket. Most people don't need anything more than these two bits of plastic. 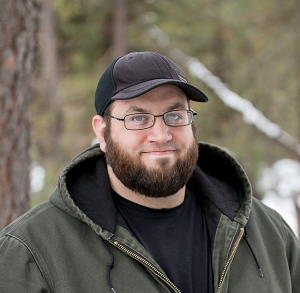 If you're given to wearing dressier shirts or, say, a flannel overshirt most of the year (because manly) this can basically keep you from having to reach for a backpocket. If a viable solution, you might also consider using your cell phone more as your payment method. Granted, this largely is only available for people in large metro areas that have a compatible smartphone, but using an NFC chip instead of having to reach for a card will save you from having to reach for it. Most people pay for things with a debit card these days, let's be honest, and if you can cut the card out of the equation with a smartphone...less need to reach for a wallet. 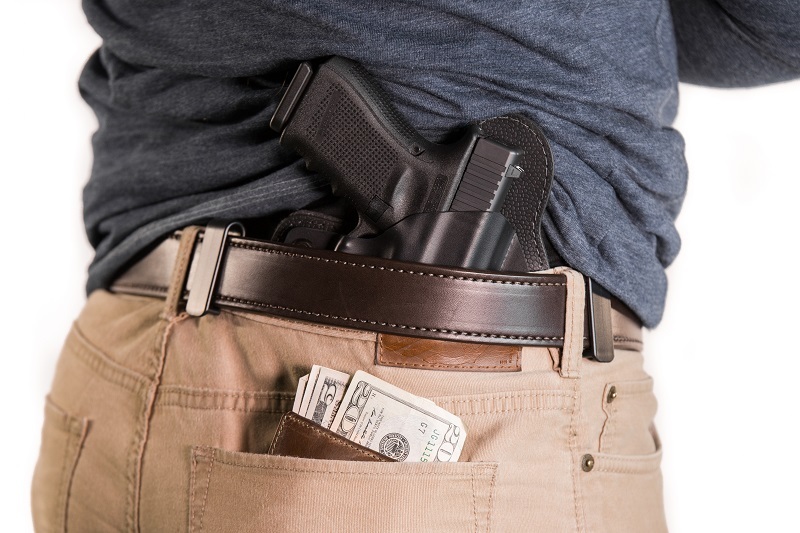 These little tricks can make it easier to deal with your wallet while concealed carrying. Not everyone finds wallet access is more difficult while carrying, but those who do can ease it a bit.